Gallery 9 will open on Wednesday 14 with its first show of the year featuring 3 photographers: Sydney based Craig Bender and two New Zealand artists, Grant Beran and Richard Maloy. Born in rural NSW, Craig Bender will present a new series of work for this exhibition. His interests in the paradox of aesthetic beauty and aggressive human undertakings have led to the search for notions of the sublime and the attempt at new representations in landscape. Craig has previously had shows at MOP (Elizabeth St. Redfern , as well as the new gallery in Chippendale) and is a Technical Assistant Photomedia at COFA. Grant Beran has had numerous exhibitions in New Zealand since 2003. His unique images combine an interest in drawing as well as photography. Richard Maloy’s practice combines sculpture and installation as well as photography. Richard received his BFA and MFA from the Elam School of Fine Arts, University of Auckland. 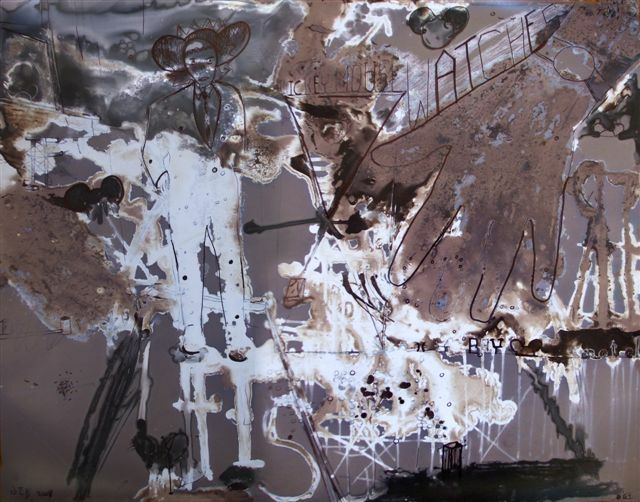 He has exhibited extensively around Auckland since 2001, including seven solo shows at Sue Crockford Gallery, Auckland.